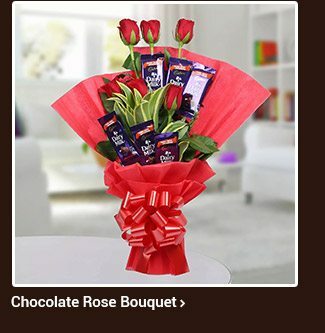 Ferns N Petals Make Chocolate Day Special Today! 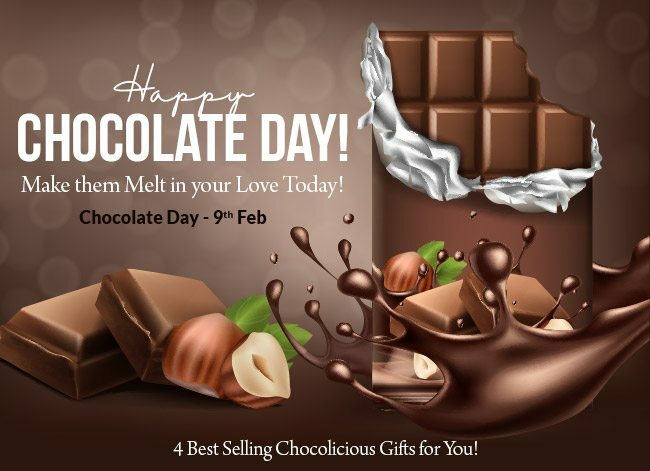 Chocolate Day- 9th February. Third day of the Valentine Week. Celebrate this sweet day with your beloved and make it ‘Chocolicious’ with lip-smacking chocolates. Ferns N Petals brings you and everyone’s favorite sweet treat in exclusive assortments. No matter how old are you, everyone loves chocolates and for people in love, chocolates are a delightful gift. Indulge in some sweet-love with your special someone. We’re sure these will bring smiles to their face. 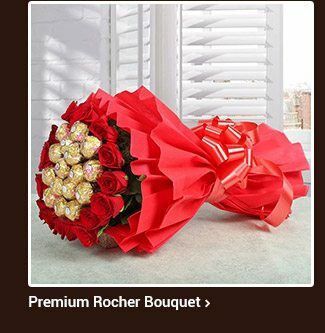 Surprise your sweetheart with a premium Ferrero Rocher Bouquet. 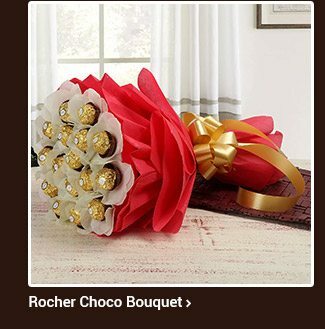 Gift your man a Rocher Choco Bouquet. 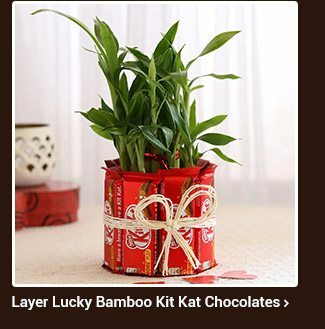 Wish your beloved with a Bouquet of Cadbury Dairy Milk & Red Roses or 2 layered lucky bamboo paired with Kit Kat Chocolates. Can you think of expressing your love to your special someone than sharing a sweet bar of happiness? Share the sweetness of happiness with sweet treats. Ferns N Petals is your number one stop shop for Valentine’s Day 2019 with gifts like flowers, cakes, personalized gifts, plants and a plethora of 21,000+ interesting gifts for you. Explore our wide collection of unique gift ideas and send them anywhere to your loved-ones. We cater our delivery services to 400 Indian locations like Delhi, Mumbai, Bengaluru, Hyderabad, Agra, Jalandhar, etc. & to more than 70 countries like The USA, UK, Canada, Australia, etc. Send love coupled with our mid-night, same-day and express delivery services to anywhere in 400 locations in India or 100+ countries in abroad.